Warren Hjertaas was a special person, a warm human being, a farmer, an environmentalist, and an independent thinker. He was a member of the SIGN board in the 1970s. He was the “go to” guy when people were faced with an unwanted pest, be it skunk or rodent. But one of his most enduring legacies is Yorkton’s Ravine Ecological Preserve, a site of both environmental and historical importance. Tourism Yorkton describes the park as a “jewel in the community”. It is a preserve of natural grassland, marsh, and aspen-willow bluff, three habitats within an urban setting. The preserve was once the property of the York Farmers’ Colonization Company, the entity responsible for bringing the area’s original pioneers to Yorkton in the 1880s. The site is of further historical significance because it once belonged to George Dulmage, farmer, auctioneer, invento r and local politician. Dulmage initiated the program, Bacon for Britain, a project whereby hogs processed in Yorkton were sent overseas for the war effort. 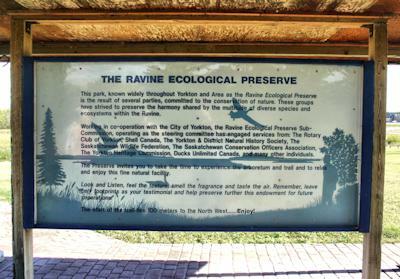 The Ravine Ecological Preserve came about largely through the efforts of Lorne Lepp, science teacher at the Yorkton Regional High School, and Warren Hjertaas. The two banded together a number of people and organizations. The task was not easy. There were competing interests, but most of all, Hjertaas and Lepp faced a lack of public understanding about environmental issues. In 1982, the city’s Centennial Year, Yorkton City Council gave approval in principle to the establishment of the preserve. As a consequence, the Ravine Ecological Preserve Committee, a subcommittee of the Yorkton Recreation Board, was established. In March of 1983, the Ravine Ecological Preserve Committee presented its report to Council. The first contentious issue was the question of boundaries. Some members of Council feared the preserve would prevent the construction of housing in the area, a plan previously approved. Others felt the preserve would prevent Deer Park Golf Course from using the water from the marsh to water its greens and fairways. Council was at an impasse. The matter was tabled – not once, but many times. 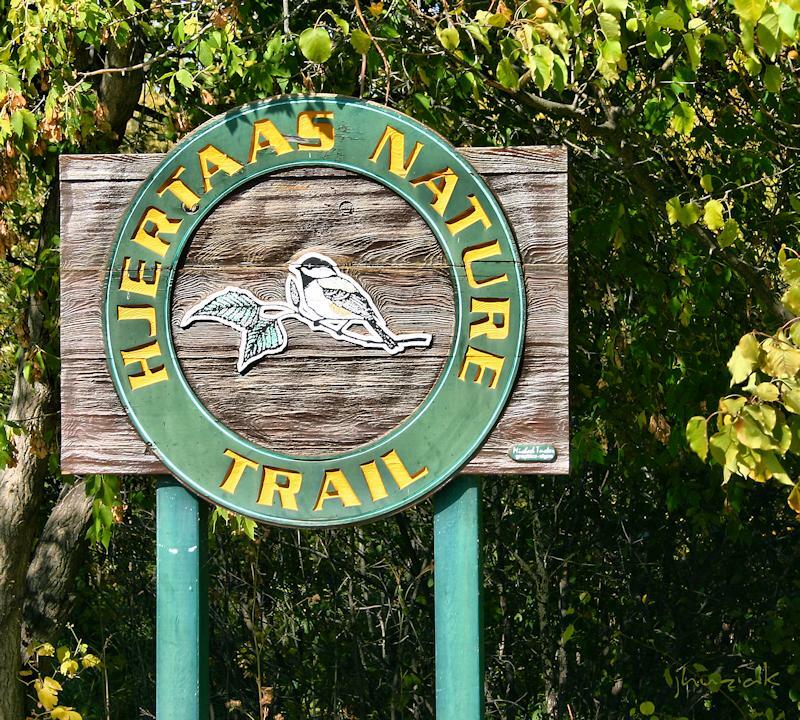 In the interim, Hjertaas with his cohort, Lorne Lepp, proceeded to build a trail – a volunteer effort financed without recourse to city coffers. Hjertaas led school groups on nature studies through the preserve. In all, his volunteer efforts reached upwards of 600 students a year. Further problems arose over the five year hiatus before receipt of official approval. The City, despite pressure from concerned citizens, continued to use the borders of the marsh as a dump. In October of 1984, the Yorkton Natural History Society and the Eighth Boy Scout Troop cleaned the area pulling a stove, steel drums, benches and a large water tank from the marsh. The wreck of a Model T was left for removal the following spring. Pressure mounted and Council decided to find a new location for its dump. In the late 1980s, the arboretum replaced the unsightly landfill. Trees, shrubs and flowers were planted. Barbecues and picnic tables were added. Wit h the construction of a new board walk, the preserve became an open invitation for students and teachers wishing to explore and study the marsh environment. Later, a lookout was built along a main access route. 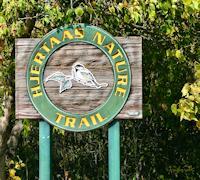 In 2003, the City hosted a ribbon cutting to celebrate recent improvements to the nature trails. 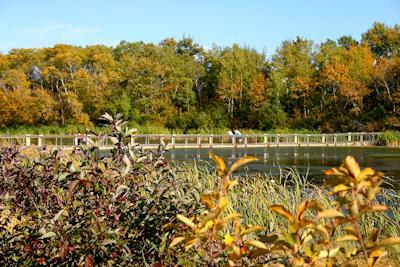 “The preserve is a wonderful place to jog, or bike ride, or just to walk and stroll along in the shade and look at nature,” commented Elinor Hjertaa s, now the chairperson of the Ecological Preserve Committee. Recently, the Dulmage farmstead located within the preserve received Municipal Heritage status. It was now recognized not only as a nature preserve but also a heritage site of significance to the area. Warren, who had passed away, would be proud not only of the park, but the public’s acceptance and support for its preservation. 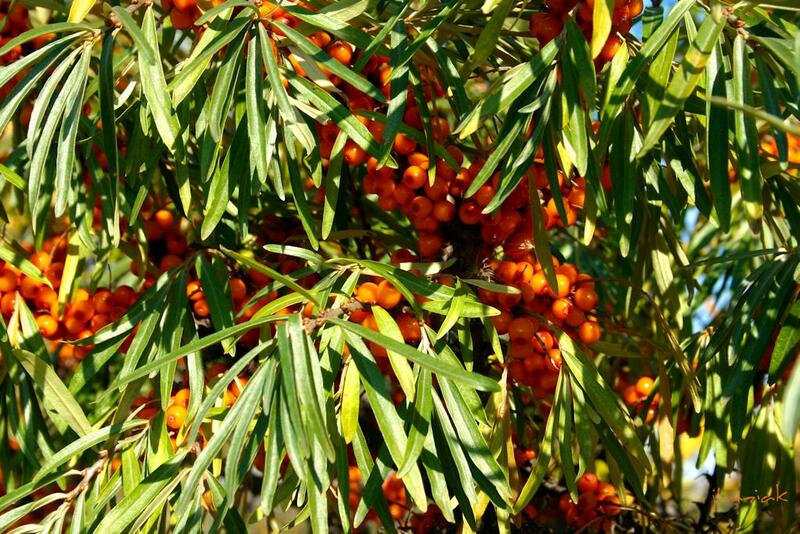 A love of nature was always a part of the lives of the Hjertaas family. In spring, Warren would tramp his farm land with his children seeking those areas where the crocuses bloomed. At times of stress, Warren was known to disappear for a time out, a walk through the pasture looking at the flowers, the grass and the sky. Perhaps, a symbol of his personality – his feet planted firmly on the land and his eyes fixed on the dreams of the prairie sky. Warren’s love of nature was balanced with the mind of an independent thinker. “What are we doing to the land?” he would ask. His thinking was not limited to coffee row either. He wrote Conservation Corner, a column in the local paper. He passed his thinking along to his sons, Blaine and Dale. “My dad was an environmentalist long before the word was in vogue,” commented Blaine, who took over the family farm on the retirement of his parents. In recent years, Blaine has planted his fields to grass for the raising of cattle. He uses no fertilizers or chemicals. Dale Hjertaas is another of the family environmentalists. In 1987, he spearheaded a conference called a Centennial Celebration of Wildlife Conservation with Prince Phillip as guest. As part of the project, certain farms were designated as protected habitat for the burrowing owl, a bird suspected to be under threat. Delegates visited the farms and a large metal sign was placed at the entrance to each farm. With Prince Phillip in attendance, the burrowing owl and its plight received national and even international attention. Dale Hjertaas received a Prairie Conservationist Award for his efforts in regards to the burrowing owl, a species we know now to be threatened. Today, Dale works for the Saskatchewan Watershed Authority. The legacy lives on. The sons of Elinor and Warren Hjertaas live out the environmental education they received in the family home. For the rest of us – well, we simply have to stroll the paths of the Ravine Ecological Preserve and thank one Warren Hjertaas and his friend, Lorne Lepp, for the beauty of this time and this place, our feet planted firmly in the prairie soil, our dreams lifted to the hope of the prairie skies.